Six proposals submitted by LMU applicants have won prestigious ERC Starting Grants from the European Research Council. Six young researchers in different disciplines have won Starting Grants from the European Research Council for innovative research projects. Each ERC award is worth approximately 1.5 million euros, and the sole criterion for selection is the level of excellence of the applicant. Together, these features have made these awards one of the most sought-after prizes for groundbreaking research in Europe. Moreover, at LMU each successful applicant for a Starting Grant is offered a tenure-track position, an assistant/associate professorship that can subsequently be converted into a full professorship. Professor Davide Cantoni holds the Chair of Economic History in the Faculty of Economics at LMU and is a member of the CESifo Research Network in Munich. His research centers on the historical analysis of economic development. In particular, he focuses on how cultural and geographical factors on the one hand, and political and institutional structures on the other, promote or constrain economic development. Dr. Thomas Magauer heads a DFG-funded Emmy Noether Junior Research Group for the study of Natural Product Synthesis and Synthetic Methodology in the Faculty of Chemistry and Pharmacy at LMU. Magauer and his colleagues are exploring the applicability of molecular skeletons of natural products as a basis for the synthesis of new pharmaceuticals. Dr. Barbara Schraml is the Leader of another Emmy Noether Junior Research Group, which is based at LMU’s Walter Brendel Center for Experimental Medicine. Her primary area of interest is the immune system, more specifically the molecular mechanisms that mediate immune responses to invasive pathogens. Her ERC project focuses on the role of dendritic cells in immune defenses. Dr. Christof Osman is currently working in Prof. Peter Walter’s laboratory at the University of California in San Francisco, but will move to LMU to carry out the project that won him his ERC Starting Grant, which is devoted to the mechanisms responsible for the maintenance of the internal organization of cellular organelles. 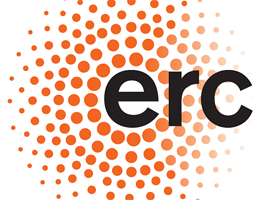 Finally, two further ERC Starting Grants were awarded for projects conceived at LMU by Dr. Michael Nash (who was then head of a research group on Biophysics and Molecular Materials at LMU) and Dr. Louise Nuijens (Department of Earth, Atmosphere and Planetary Sciences at the Massachusetts Institute of Technology). Nash now holds a dual professorship at the ETH in Zürich and the University of Basel, while Nuijens has accepted a professorship in the Netherlands.